I’m a little late on getting the ride list out. Work keeps getting in the way of all the fun stuff, like sharing bike rides. Speaking of work- Real Estate, if you care to see my newest listing, you can click the link below. A HUGE Thanks to everyone who donated last week to the kickstarter campaign to paint the bike Mural at 6th and Stone. Joe Pagac was able to raise the funds he needed and has already started painting. After I sent out the ride list there was a spike in donations. It makes me so happy seeing the community come together for one of our own. This list is a major time commitment and it is my pleasure to put it together. All I ask in return for the list is that you remember I’m A REALTOR. If you have a relationship with another REALTOR, I love loyalty and respect those relationships. However, if not, or if you need a second opinion, Please keep me in mind. 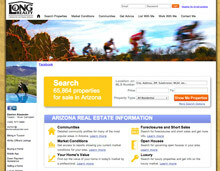 Many agents spend money advertising for new business, others sit open houses or cold call. My business is based on referrals from past clients and friends. The less time I have to do traditional prospecting the more I can do for the cycling community. For example: this list. I DID NOT CONFIRM EVERY TIME, but did get in touch with most of the ride leaders and shops. You should always verify times before you head out and remember these ride times are when the ride leaves. Please show up as early as needed to make sure you are ready to roll out at the time posted. Miles Ahead Shop Ride I’m sad to say that Miles Ahead has closed and one of the best shop rides in Tucson is no more. If you are interested in starting a Pistol Hill Ride Every week, please let me know so I can put it here. I know there is an interest, we just need someone to step up. Thanks Geoff for having such a great ride. You and Miles Ahead will be missed. Cactus cycling and GABA have on-line ride calendars. Check them out for more rides. Sonoran Desert Mountain Bicyclists(SDMB) and Southern Arizona Mountain Bike Association (SAMBA Tucson off-road Cyclists and Activists. (TORCA) have a calendars. Check them out at. GABA Spring Bike Swap 7thSt. Between 4th Ave & 6th Ave. These rides are not mine. I am only sharing the data. The Damion Alexander Team cannot guarantee anybody’s safety. There are unknown and unforeseen potential hazards in every ride so you should pay attention and take reasonable precautions. I always use a helmet. I think that Helmets are required when riding. If you choose to listen to music during rides you should only use the headset in the right ear and keep the headset out of the left ear. Better yet, buy a FarEnd Gear earbud. Communication is essential during all rides and having the ability to hear is a part of your responsibility to others. Please also ride within your limitations. You are not racing the Tour de France. If you see someone that is not riding within their limitations or are becoming a hazard to others we should politely bring this to their your attention Dothis for your and everybody’s safety. Also, it is everybody’s responsibility to follow all traffic laws. We are not lemmings. Just because somebody does something foolish does not mean you need to follow. Use your head and enjoy your ride. THIS LIST IS PROVIDED AT A COURTESY OF THE DAMION ALEXANDER TEAM. THIS LIST IS DEEMED RELIABLE, BUT NOT GUARANTEED. WHEN POSSIBLE, CONTACT INFORMATION FOR THE GROUP RIDERS ARE PROVIDED. TAKE RESPONSIBILITY AND DOUBLE CHECK OR GO TO THE RIDE AND IF NO ONE IS THERE, GO RIDE BY YOURSELF. WOW!!!! This week we have nearly 120 unique rides, races and events on the list. Zona Cycling Many are going to the Tour de Mesa, including the ride leaders. So no ride this Saturday. Womens Group Ride This ride has been canceled. Tuesday night lights with Burritos! COMMUNITY GARDENS BIKE RIDE #1 This ride combines gardening and biking! 12TH ANNUAL PIE PARTY The Pie Party celebrates 12 years by bringing back the Pie Contest! Held for many years among friends, Pie Party was passed on to the Food Conspiracy Co-op in 2014 as a fundraiser and fun community event. Enter a pie, come to eat pie or come to celebrate community – there is something for everyone. CIRCUS PARADE BIKE RIDE. It’s the Bike Fest Tucson GREATEST SHOW ON EARTH!!!! Come celebrate your inner goth as we ride around downtown Tucson dressed in a goth’s favorite color: BLACK. Dig out your chokers, your corsets, your capes, your upside down crosses, your mesh crop tops, your black lipstick, your darkest eyeliner, your blackest black, and your tightest tight. Let’s all disappoint our moms one last time. The Bike Fest Bike-In Movie Series continues with the timeless classic “The Bicycle Thief”. GABA bike repair session. Come on out and lend a hand. A great experience, even if you are not good with a wrench. How SLOW can you go? Come and find out on the Slow Ride to the Bike-In Movie. All-ages, no-drop straightforward ride from the UA Flagpole to the Mercado San Agustín, location for the Bike-In Movie Since we’ll be rolling slowly, costumes, music, noisemakers, balloons – anything fun, festive, and gawk-worthy- is encouraged! Tucson Earth Day Festival & Parade This year’s theme is: “To the Earth Be Kind; Leave Your Car Behind.” A great day to ride your bike to the event and use the free bike valet parking. Celebrate Bike Fest month by biking to your library. Show us your helmet and we’ll give you an “I love my library” sticker! Plus all the books, music and movies you can carry (well, maximum of 25 items). REAL ESTATE BIKE TOUR OF HOMES IN SAM HUGHES TO CELEBRATE BIKE MONTH. There is really no way to get to know a neighborhood better than riding through it on your bike. BOOKBIKE FLEET KICKOFF EVENT. Join the library as we celebrate the addition of two new Bookbikes to give us a fleet of three! Cyclovia Tucson is Sunday, April 19th. Dance, jog, skate, roll, play, smile, laugh your way through streets that are open to people for a day! Wild West Cargo & Utility Bike Cyclovia Cleanup & After-party. Prize for best outfit and/or bike decorations and biggest haul of trash to be awarded by mob vote! Bike to Work Food Station hosted by PAG and Sun Rideshare. Free breakfast snacks, drinks, and other give away items available for all who visit. Bike to Work Food Station. Free breakfast snacks, drinks and other give aways will be available for all visitors. Bring your auto insurance declaration sheet for a free review of how well that will cover you when you’re on your bicycle. Bike to Work Day is one day set aside in April especially for you, your co-workers, your friends and family to give bicycle commuting to work a try. Tie Ride: Ride in to work at Abrams (Pima County Health Department, 3950 S. Country Club Rd. #100) from Reid Park at a slow pace, enjoying a mostly car-free route in the morning. Explore all 4 Bookmans by bike. Each of our pit stops will have water, nutrition and sweet giveaways from New Belgium. On our return to the Sports Exchange, we will be greeted with a New Belgium pint, a scrumptious food truck for lunch and a raffle for a New Belgium Bike Jersey. Come explore the historic railroad right of way between Barrio Anita and Arizona Feeds at S 6th and E 37th. Better Block Party & Community Mural Project: Come participate in a community mural on the boarded up windows of the old Green Dolphin, delight a re-imagined street with bike lanes, traffic circle, sidewalk tables under the trees. A family-friendly bike campout. We will likely (tbd) be following The Loop to CDO Path to Catalina State Park, depending on rsvp’s (min 20 people required to reserve group area). Expect park fee of $15 for camping. Celebrate Mountain Biking Our mountain bike team will be there to lead you on a tough and rigorous mountain bike trail. Come prepared! Afterwards, we will all meet back at Pueblo Vida Brewing to talk bikes and drink some great craft beer! Richard E. Genser Starr Pass Trailhead between 6PM and 6:30PM. Join Mayor Jonathan Rothschild at this free breakfast event sponsored and hosted by Whole Foods Speedway and then accompany him on two wheels for his downtown commute! Bring your favorite camp coffee brewing equipment and meet us for a quick cup on your way to work or school. This is a bring your own brew event but if you don’t have anything to brew with don’t worry, folks are usually willing and able to share! We will also have some give-aways available from some of our favorite #coffeeoutside brands. Bike Fest Finale : April might be over, but the SHIFT to bikes for transportation, for fun, and for community is permanent! Come celebrate with us as we look back at all the fun we’ve had together all month long and share your favorite hot-weather riding tips to ensure we all keep riding just about as long as we can. THIS LIST IS PROVIDED AT A COURTESY OF THE DAMION ALEXANDER TEAM. THIS LIST IS DEEMED RELIABLE, BUT NOT GUARANTEED. WHEN POSSIBLE, CONTACT INFORMATION FOR THE GROUP RIDERS ARE PROVIDED. TAKE RESPONSIBILITY AND DOUBLE CHECK OR GO TO THE RIDE AND IF NO ONE IS THERE, GO RIDE BY YOURSELD. There is a big change to the list this week. The Mountain Bike and Road Rides have been separated into different sections. This Sunday there are 13 rides. One for everyone. The biggest challenge is deciding what bike and where to ride. I’ll be at the El Grupo Fall Fondo. They still have room for a few more. I’m told that the swag bag is real nice. Add in a meal with Local beer from Iron Johns and it’s going to make for a great day. At the same time for the downhill Mountain Bikers TORCA has a poker ride on Mt. Lemmon and the prizes include a trip to Whistler. You ride, you get cards, best hand wins. At the same time the Sandbox Showdown will be riding through the washes of Tucson on Fatbikes. This ride brings out the most colorful characters in the bike world. At the same time Old Pueblo MTB will be at Sweetwater Preserve to congratulate the OV MTB athletes on an incredible year at the High School Mountain Bike season. EL GRUPO FALL FONDO. A Ride to Support Youth Cycling. 40 or 80 mile option rides through the heart of the Old Pueblo. Sandbox Showdown It’s not the miles that matter, it’s the mind November 16 In the sand and in a few drinking holes Sign up on the 15th at the Skybar from 7-9. AZ Endurance Series Grassroots endurance race at Kentucky Camp. Dawn to Dusk an endurance mountain bike event 16 mile loop. Space is limited to 125 SOLO riders, 100 TWO-Person, 50 FOUR-Person and 10 CORPORATE entries Sat Dec 6 16300 McDowell Mountain Park Dr. This list is provided as a courtesy. 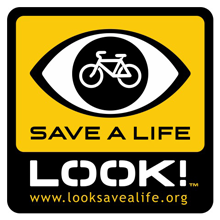 It is all public information that is put here to make life easier for those looking for a bike ride. Biking can be dangerous. People crash, they break bones, get bloody, have road rash, destroy bikes and even worse. The Damion Alexander Team is not responsible for any of these rides or anything that happens on these rides. By going on a bike ride you are choosing to make a choice in your life, one that will most likely lead to a healthy and happy life. However, if the unfortunate does happen, it was your choice to go and not Damion Alexander, The Damion Alexander Team or anyone else that made you do it. Proudly powered by WordPress | Child Theme: StrapThirteen by WP Strap Code.